a website filled with news about tv shows and stars. -Looks like Martha Stewart wants to join Oprah in having her own channel. -This summer's So You Think You Can Dance will be a little different this year. Check out daily who will be joining 2011's edition. -Star Search and Paula Abdul is NO MORE. -Details on April 14 Ugly Betty's Series Finale. SPOILER! -Goodbye Scrubs :( Zach Braff, please sign onto a new show! i heart glee on april 13! 2) A small clip from Sue's Corner entitled "Those Sneaky Gays!!!" 3) Oprah Winfrey knows how popular Glee is, so see the cast and never before seen backstage videos on her April 7 show. 4) Submit your videos on myspace to be a part of Glee history! 6) Spoilers about the coming episodes of Glee. 7) Glee Season 2 will be 25 episodes instead of 22! 8 days. 1 Jack Bauer. The End. FOX has decided to cancel the drama filled show 24! Mary Lynn Rajskub aka Chloe confirmed the news as well by tweeting "Just found out we got the word officially. This is 24's last season." Savor what hours are left of the show. No word on whether NBC will pick up the show or not. The final 2-hour episode will air May 24. Thank you Jack Bauer for rescuing us from president wives, evil presidents, and also the many terrorists. Felicity's Keri Russell should be on television come this fall! What makes this news even better is that the show is created by Arrested Development's Mitch Hurwitz. The comedy will be called "Wilde Kingdom", and it will be a show about a new couple with differing values. Will Arnett (Arrested Development) is going to be Keri's other half. American Idol is in her past, but now Star Search is her future! ABC is planning to have Paula Abdul headline the singing television re-make of the 1980's hit competition. It's unsure whether she will be the host or some kind of judge on the show. The old hit found some stars that you see today Beyonce, Justin Timberlake, and Britney Spears. The media doesn't know if she will join Simon's X Factor in the Fall 2011 too. I hope she does both. American Idol is definitely not the same without her. I apologize for my lack of my entries, but here I am back to posting what i heart. Early last week and much of last year, there were talks of the end of Jack Bauer meaning the end of the drama-filled show 24. 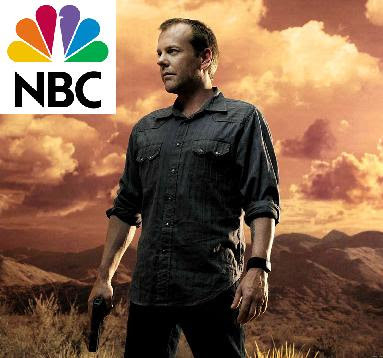 Now, NBC is in talks with FOX in purchasing the possibly-soon-to-be-canceled series. Why would the 4th placed network want to add the series that is considered to be creatively going downhill? Let the show end in peace and let it be remembered for all the great/sad memories! i heart tv. i know you do too.